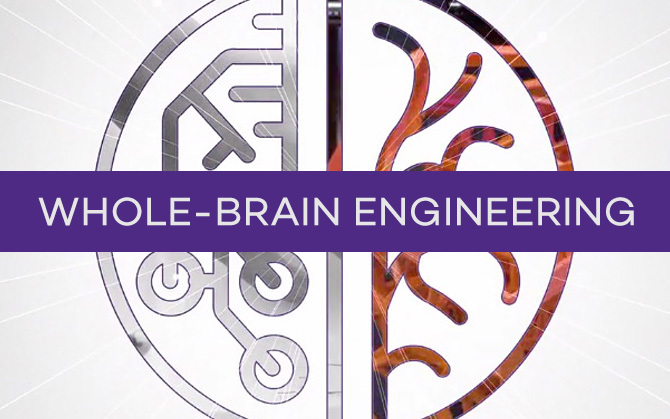 Theoretical and Applied Mechanics (TAM) at Northwestern Engineering is an interdisciplinary, interdepartmental degree-granting graduate program. The TAM program at Northwestern has a distinguished history and enjoys an excellent national and international reputation. Each year, Northwestern welcomes a diverse group of talented students into our program, which fosters a creative and highly interdisciplinary research environment. Typically, our students have a bachelor’s or Master of Science degree in engineering, mathematics, physics, or an applied science, and varied work experience. Some enter directly after completing their undergraduate or master’s degree, while others bring work experience in related fields. The highly interdisciplinary nature of the program allows our students to acquire significant breadth and depth in topics not necessarily related to previous education acquired by the candidate. Study all fields of mechanics from classical fields such as fluid and solid mechanics to more novel trends in science such as mechanics in biology, multifunctional materials, computational mechanics, and nanomechanics. Full-time, small cohort that guarantees a meaningful and in-depth mentorship experience between students and faculty. Customized curriculum combining both traditional and novel trends in a diversity of topics across engineering and science fields. Excellent faculty reputation that includes four National Academy of Engineering members, two National Academy of Sciences members, four European Academy of Sciences and Arts members, a Presidential Medalist, and several ASME Timoshenko medalists. Tenured faculty from the McCormick School of Engineering, the Feinberg School of Medicine and the Weinberg College of Arts and Sciences, are members of TAM. Graduates from the Theoretical and Applied Mechanics Program are well prepared for immediate employment in a variety of professional environments. Shortly after completing the program, the majority of our students (65%) receive academic offers (post-doc or assistant professor) while others receive offers from prestigious industrial partners, including Chrysler-Daimler, Dow Corning, Dassault Systèmes, or National Labs. Program participants have full access to Northwestern University’s extensive career placement resources. Additionally, our graduates are mentored directly by faculty as they seek employment near completion of their graduate studies at Northwestern. Program Director Horacio Espinosa explains the benefits of this interdisciplinary, interdepartmental degree granting graduate program. Learn more about our seminar series and upcoming program events.